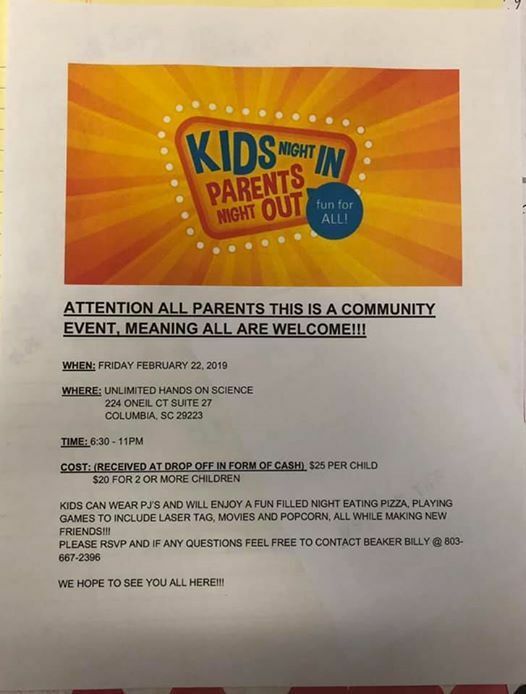 ATTENTION ALL PARENTS, HAPPENING TOMORROW, THIS IS A COMMUNITY EVENT!!! 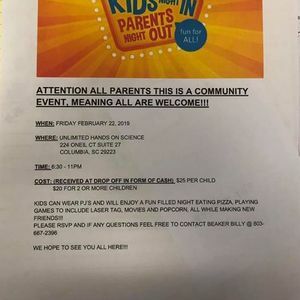 $25 PARENTS NIGHT OUT!!! PIZZA, GAMES, MOVIES & MORE!!! HOPE TO SEE YOU HERE! "We Place Science in the Palm of Your Hands"